A rendering of the McCormick Place Event Center in the city's South Loop. CHICAGO (WLS) -- City leaders broke ground Monday on the McCormick Place Event Center, which will be the new home of the DePaul University's basketball teams. The project will create nearly 10,000 new jobs in Chicago, officials said. Mayor Rahm Emanuel and other city leaders attended the ground-breaking at the corner of Cermak and Indiana in the South Loop. 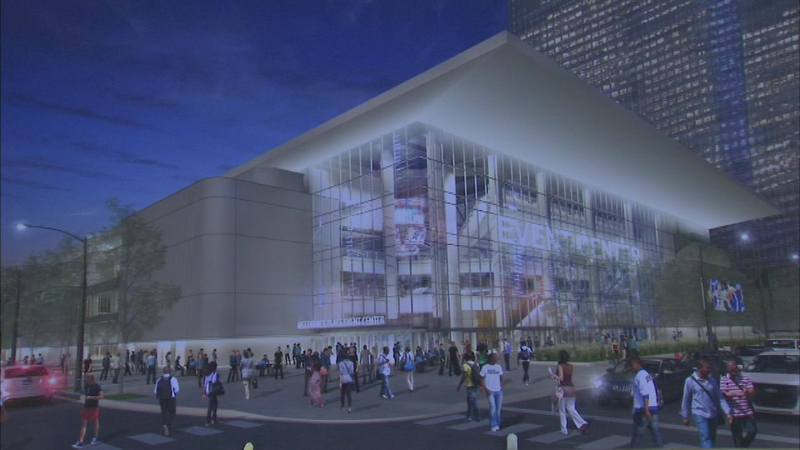 The 10,000-seat event center will also have the capacity to host conventions and trade shows. The venue is expected to be finished sometime in 2017.